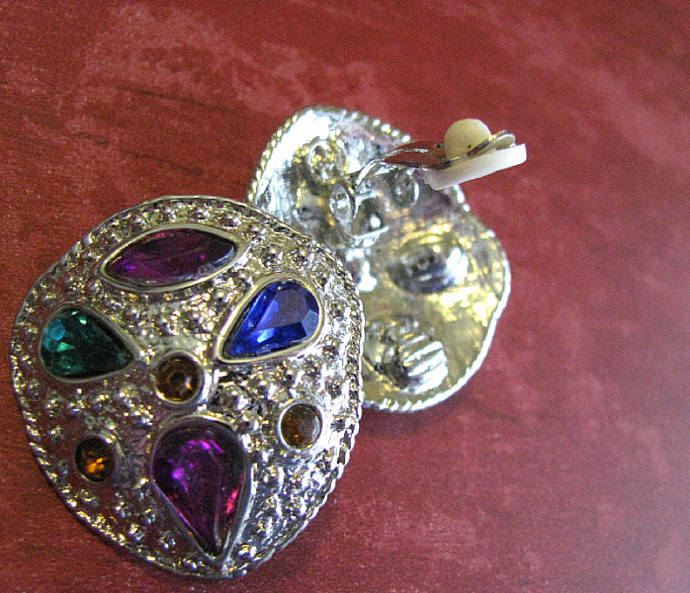 Here is a lovely pair of vintage 1950's clip-on earrings with a definite Mardi Gras styling and coloring. Lots of sizzle, style, and show-stopping dazzle here! 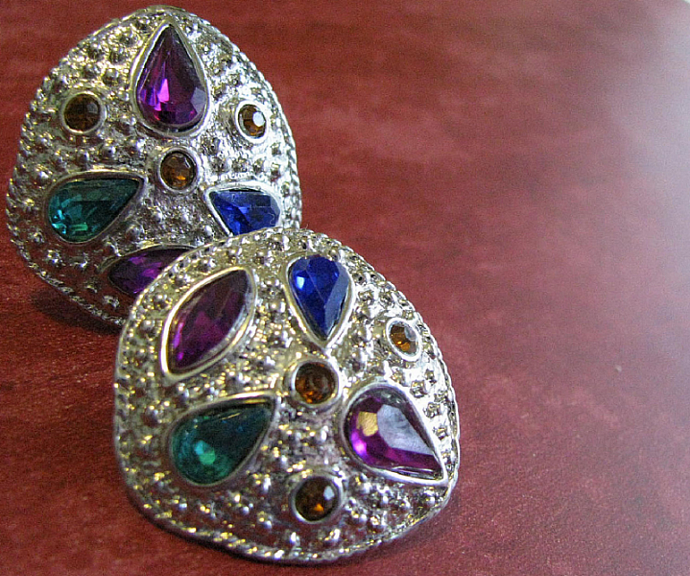 Clear, bright faceted rhinestones of emerald green, cobalt blue, topaz yellow, and violet sapphire set into a nubby silver-tone domed escutcheon, these earrings will add some fun 1950's glamour to any celebration. Pretty and fun, there is a maker's mark on both, but I'm unable to read it. 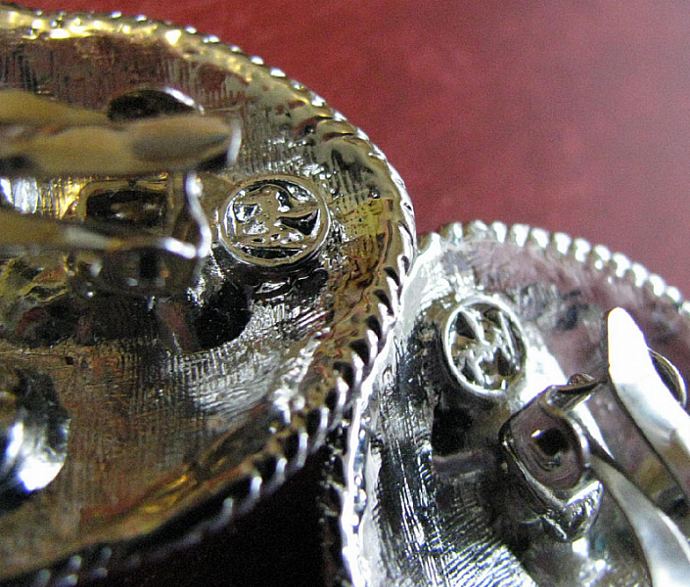 Each earring measures approximately 1.25" (32 mm) round.